The spa ozonator is an ozone generator that injects dissolved ozone into the spa water. Ozone is one of the most powerful oxidizing disinfectants on earth, yet it is safe and has no effect on humans. In fact, it is virtually undetectable in the spa water. 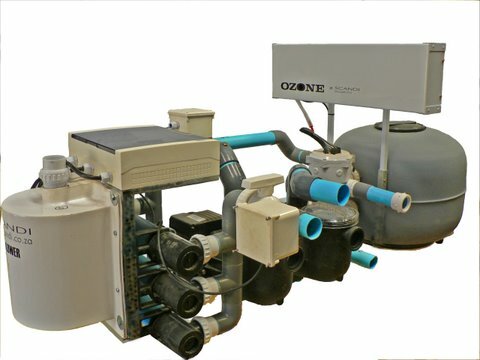 Ozone is 200 times more powerful than chlorine and up to 99.99% effective against bacteria and viruses that lurk in a hot tub. As an added benefit, the only by-product of ozone is ordinary oxygen – no chemical residues. Scandi spas are manufactured by hand and we can therefore include additional jets in your spa to target specific areas of the body ie: lower back, shoulders, neck etc. Jet options include fixed, rotating (the spout can be moved into the desired position) and ozone (smaller jets with a higher pressure) jets. The pump station cover is recommended for installations where the pump station is installed outdoors. These covers are manufactured in fibre glass and are of high quality ensuring long lasting use. 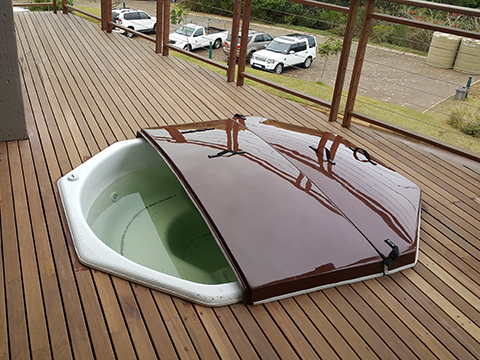 Spa covers assist with insulating the heat in the spa and also prevent debris and sand from falling into the spa and clogging up the spa filtration system. We recommend the use of spa covers especially with outdoor installations. We manufacture fibre glass covers which are long lasting and very sturdy. We also supply bubble blankets and vinyl covers with or without polystyrene. Please contact us for more information and quotations. Luxury spas and hot tubs, many shapes and sizes excellent for the whole family.